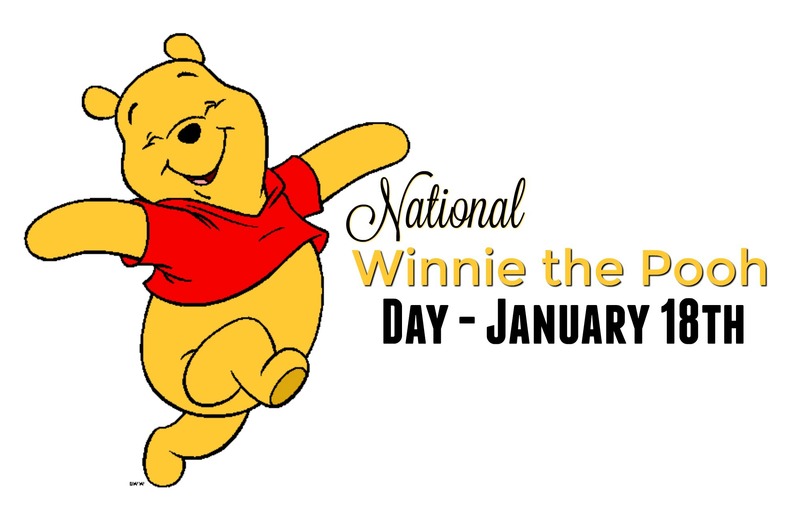 National Winnie the Pooh Day is observed annually on January 18th. Author A.A. Milne brought the adorable, honey-loving bear to life in his stories which also featured his son, Christopher Robin. National Winnie the Pooh Day commemorates Milne’s January 18, 1882, birthday.